It feels like the whole buzz around cryptocurrency has calmed down a little. In comparison to the previous year, when the cost of Bitcoin reached unprecedented heights having cost 20 thousand dollars and even more, and the alternative coins were sold like hot cakes, this year it seems like a stiff breeze. However, whether this serenity is the calm before the storm or an actual beginning of an end? Let’s be honest; no one knows the answer. People are divided: some believe in a crypto future while others think it is a brand-new, complicated and smart Ponzi scheme. Some people are feverishly getting rid of their crypto savings while others, on the contrary, are enthusiastically refilling their stocks taking advantage of the momentum. In this unstable world, there is one thing we can say for sure: only time will tell whether we will use bitcoins and altcoins as a primary mean for paying our bills or buying stuff or stay true to the traditions and stick with the traditional type of money. If you are one of those dreamers who believe in decentralized World and is eager to make your contribution by, for example, creating an application or a website or you are just an entrepreneur who is accustomed to seize any opportunity then you will undoubtedly need some helpful graphical material to bring your ideas into life. And we have a dozen high-quality freebies that were made for all the devotees of Crypto World. Our collection covers website templates, mobile application user interfaces and of course icons packs. 1. 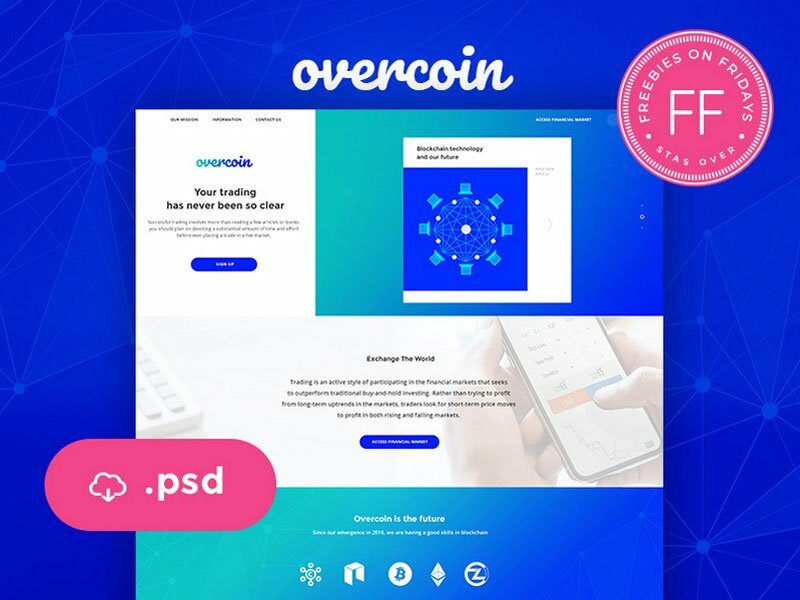 Overcoin Cryptocurrency by Stas Over is a template with excellent coloring and well-organized structure. It is based on a classic stripe layout that allows an owner to highlight all the sections unobtrusively. The gradient in tandem with faked particles animation gives the design a refined techno atmosphere. 2. Autocryp Landing Page by Piko Rizky Dwinanto feels crisp, friendly, and inviting. The green used as a primary color is responsible for this gamut of emotions. The concept includes all the important sections such as hero area, a section with benefits, cards with helpful information and some others. As you have guessed, the template is a perfect starting point for those who sell their coins and want to be heard. The design is elegant with subtle focal points scattered throughout the page. Blue used in the hero area makes the template feel businesslike and trustworthy. 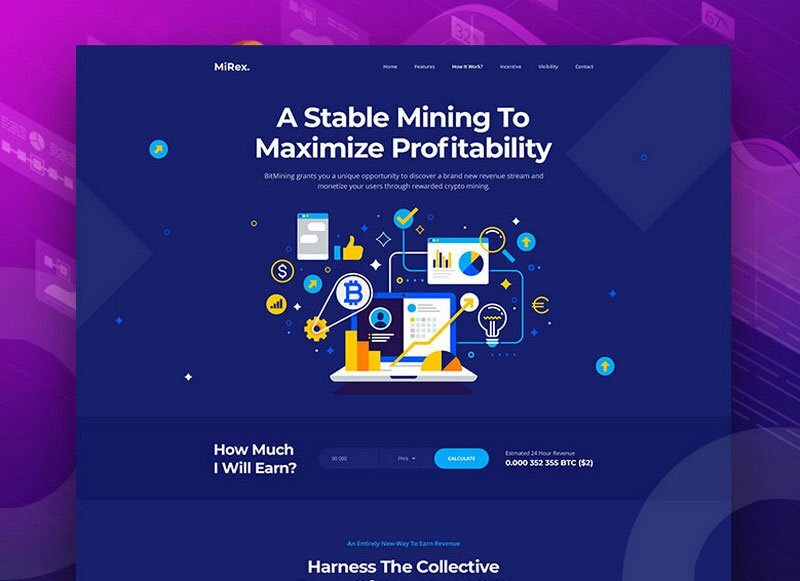 If you are one of those who provides mining services, then you will undoubtedly appreciate this great template. It is a symbiosis of business layout and mystery appeal resulting in a powerful instrument for producing a strong impression. It has all the essential sections such as benefits, features, working steps, subscription block, etc. 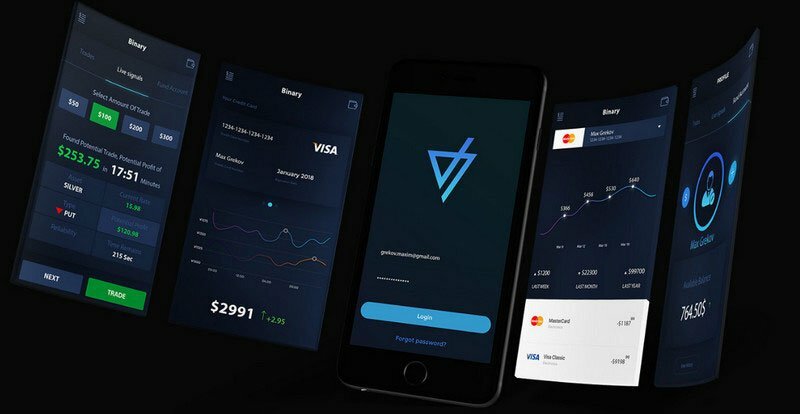 The concept has a dark aesthetics that certainly echoes with the mysterious and enigmatic nature of blockchain technology. Maxim skillfully plays with the colors hitting an optimal contrast between the background and content as well as naturally establishing focal points. 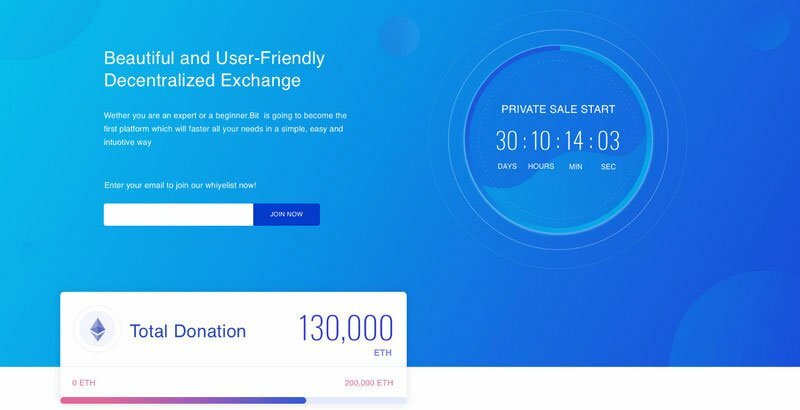 The author generously shares with the online audience the entire concept of a wallet application. Not only does the freebie have a beautiful design but it also includes all the essential blocks and screens. You can use it as a base for your idea or a tool for learning how to build the same app UI at home. The more so, Vivek Karthikeyan has revealed the whole routine behind the process of creating this template in his post in Medium. 7. 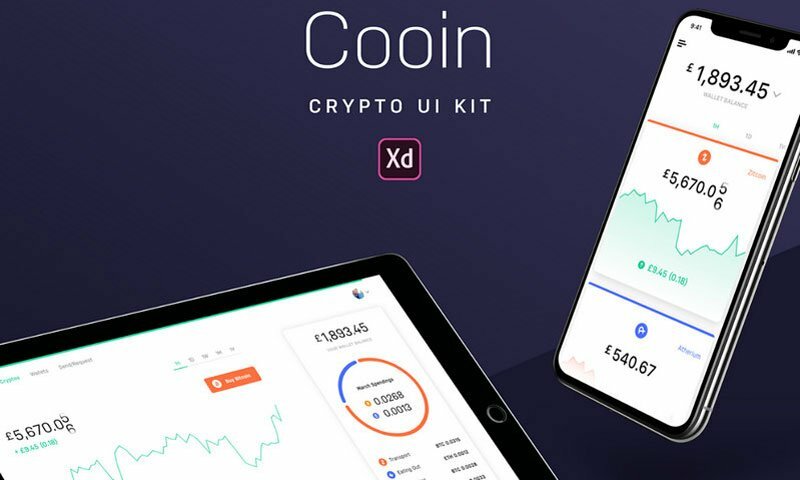 Much like the freebie by Vivek Karthikeyan Cooin Crypto Kit for Adobe XD is another powerful instrument for building your interface. This time the team shares not only the mobile but also the desktop version. You can grab the entire application. The design is neat and elegant thanks to the well-thought-out color scheme, lots of whitespace, stylish graphics and beautiful typography. The pack includes twelve icons representing eleven popular cryptocurrencies: Bitcoin, Ethereum, Litecoin, Monero, Ripple, and others. The symbols have a beautiful coloring where gradient plays the first fiddle. Each one is available in Sketch format. 9. If you did not find the desired cryptocurrency in the previous pack, you should probably try 20 Free Cryptocurrency Icons. The collection includes nine extra altcoins. Each one has a round shape, distinctive coloring, and gradient set as a background to make things a bit interesting. 10. If your searches for the required altcoin still proved to be unsuccessful, then the free pack of icons by Junik Studio should save the day. 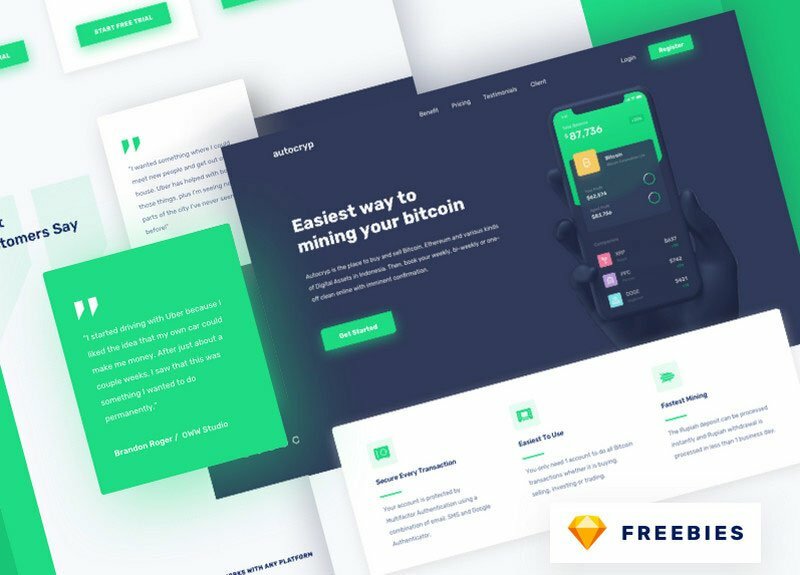 The freebie consists of 28 different crypto coins where each one is represented in 10 different styles starting with solid monochrome black and ending with vibrant gradient-based. Each one is free for personal and commercial use. For those of you who are after the graphics for creating user interfaces there are some fantastic packs. 11. The set of icons by José Polanco includes glyphs appropriate for building wallet-based applications. They are subtle, refined and beautifully simple. 12. The set by deszone is all about money. It has some fantastic graphical representations of regular operations done with Bitcoin or Litecoin so that you can use them to build finance-related projects. The icons differ from the others with their purely artistic vector design. 13. The set by Reiza Pahlevi was made with trading and mining in mind. Each icon is a small illustration that boasts of incredible coloring and eye-pleasing shapes. Much like the set by Reiza Pahlevi, here, each icon is a tiny masterpiece that charms with its unique artistic appearance. There are just six items in the pack; however, they are ideal for fintech interfaces and can be used to make vital operations prominent. 15. Speaking of which, there is an excellent collection of fintech icons provided by the Agente Content Team. It includes 48 high-quality figures. Each one is available in the one-size-fits-all version; and each one is presented in two color variations: black-and-white and colored. Crypto future: is it real? It has its pros and cons; it has its followers and haters. If you have a dream or concept in mind, nothing should stop you from bringing it to life. 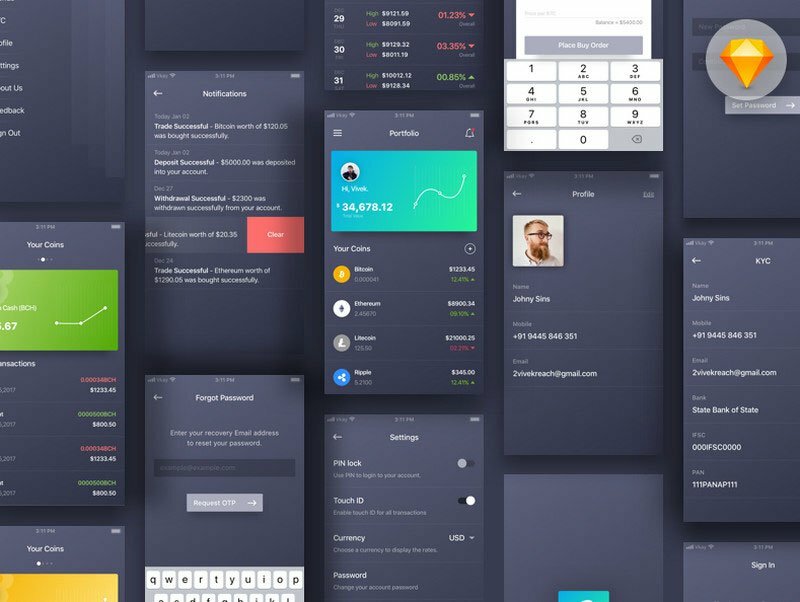 And with our outstanding collection of free user interfaces and free icons pack we hope we have provided you with a high-quality graphical material that will help to build interfaces of any scale with elegant design, beautiful aesthetics, and appropriate aura.